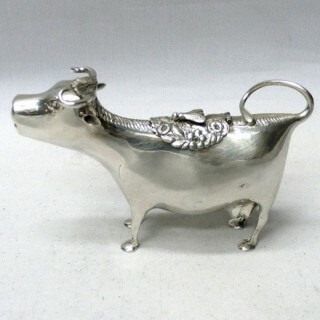 An antique silver cream jug in the form of a model cow. 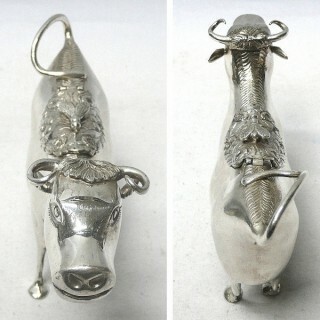 The flap with a bee on the cow’s back lifts to fill the jug with cream which is poured out of the cow’s mouth. Simple figuring and naive expressive face. 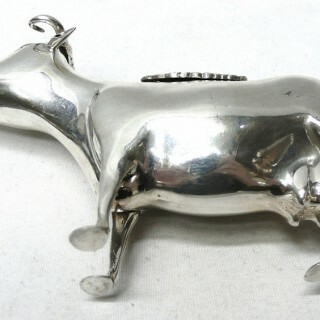 Weight 133 grams, 4.2 troy ounces. 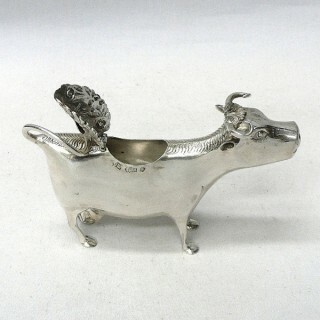 Height 9 cms. 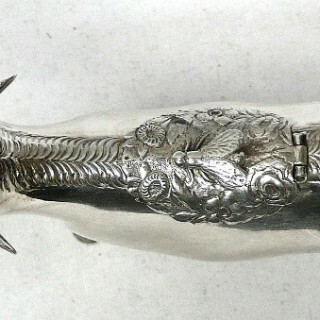 Length 14 cms. 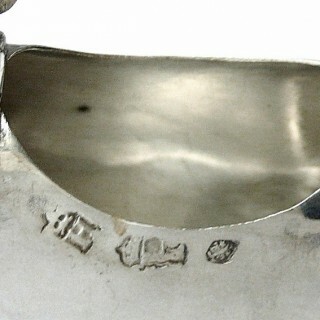 Marked underneath the flap on the back with continental silver marks. Circa 1900.